Large groups may reserve Black Bear Golf Course for preferably a 7:30 AM or 1:00 PM shotgun start. Starting time is negotiable. A minimum of 60 players is needed to close the course to outside play and receive the tournament rate. Meal prices do not include tax or service charge. Prices are subject to change. Your options are: closest to the pin, longest drive, longest putt, etc. An effort will be made to accommodate any events you wish to include. We also provide Hole in One packages available through Hole In One U.S.A. If you are interested in the Hole in One packages please contact Dan Walker, Head Golf Professional. The professional staff will provide assistance with tournament scoring, preparation of score cards, score sheets, and cart assignment sheets. Please make arrangements with the golf shop prior to your event. Black Bear Golf Course has a complete practice facility including putting green, chipping, pitching and driving range. If your event has more than 60 players, we will provide range balls FREE of charge. The driving range will be set with ample balls for your players to warm up with. You may register your players in the clubhouse. Please make arrangements with the golf shop for tables, chairs, etc. prior to your event. Estimating the actual number of players is the most important part of planning your golf event. 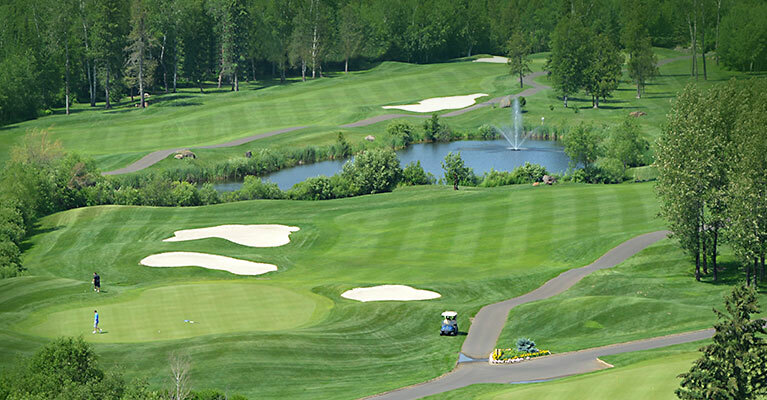 Three days prior to your event, the tournament chairpersons must drop off, mail, or fax (218-878-2484) a complete list of players and their order of play to Black Bear Golf Course. Please schedule your groups in foursomes. Please have your players informed of their tee time in advance. If your outing has 60+ players Black Bear Casino can issue each player a $10 free play coupon which can be redeemed at the Casino. In order for the coupon to be valid each person will have to sign up for the Players Club card which also allows them to receive 10% off on hotel stays and other casino benefits. Mother nature can sometimes make it difficult to start or finish an event. Our rain policy is as follows: If a tournament has played more than three holes but less than twelve, you will be billed for nine holes. If more than twelve holes are played, you will be billed for 18. Dinners will be served regardless of the weather. You may pay by check or credit card. Your final bill will include charges for green fees, carts, merchandise, gift certificates, food, and gratuity (18% on food bill). You will be billed based upon the actual number of players.